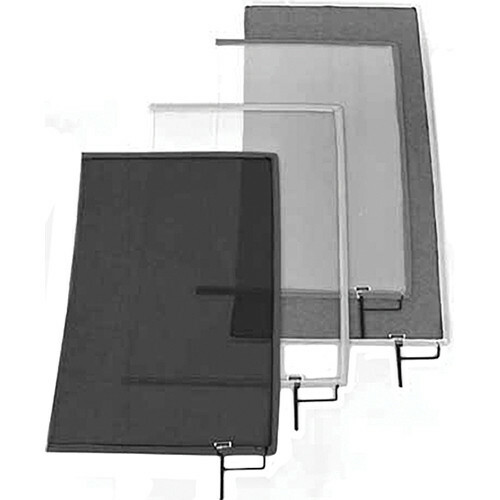 Box Dimensions (LxWxH) 28.75 x 17.75 x 0.25"
Open End Scrim - 18x24" - Black China is rated 5.0 out of 5 by 3. Rated 5 out of 5 by ColoradoExposures from Well-made and durable. Used in a still photography studio to decrease light output from a specific area of a large softbox. Works great. Very solid build and the fabric is durable. Rated 5 out of 5 by Anonymous from Useful product for work in sun or with specular Great for adding a warm touch as an alternate to the artificial silk.